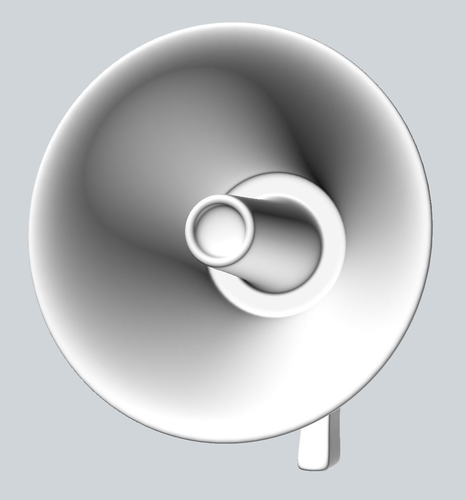 Stylized, simple, cartoony megaphone / bullhorn / loud-speaker / voice amplifier model. Available in polygonal and NURBS/solid file formats. Model contains the bare essential shapes, including a trigger with surrounding cavity. Additional details such as screws can be added to increase realism. All edges feature small fillets (rounded bevels), there are no infinitely sharp edges visible in the model.